Socialite NZ is a boutique digital & IT recruitment agency aimed at creating the best client & candidate experience possible. Our approach is simple – we harness online social channels & strategies to target technology professionals globally. And we’re bloody good at it! We use all the latest tools available for sourcing top talent & go beyond our customer’s expectations. Because Socialite doesn’t operate like a large agency, we can offer flexible approaches to service your recruitment needs from pricing, RPO engagements to value-added permanent & contract solutions or targeted sourcing strategies. 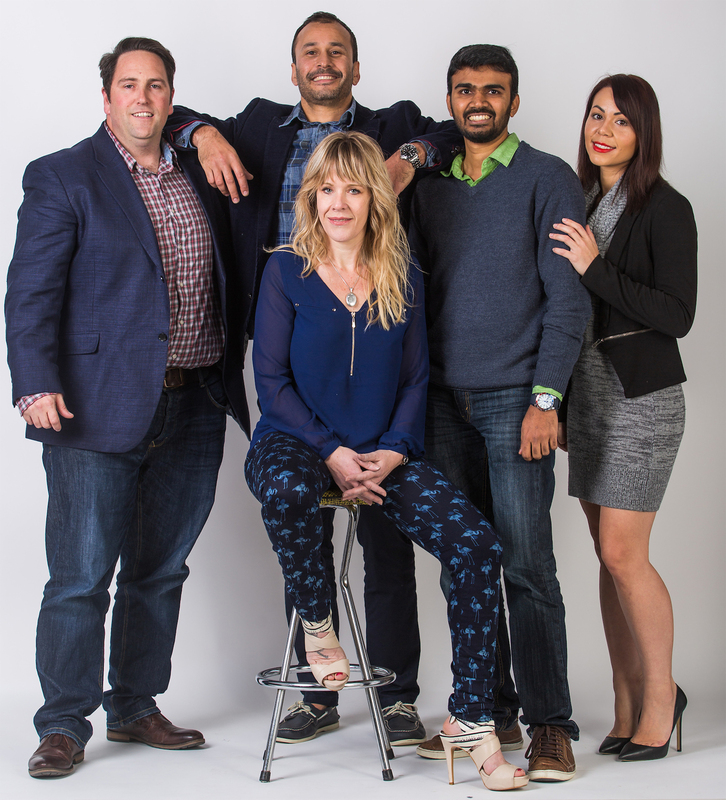 With nearly 30 years combined experience both locally & internationally, Socialite is your next step in reducing the headaches of scaling your company. Our technology expertise & service portfolio includes security & identity, digital, data engineering, business intelligence, devops & automation & emerging technologies like IoT & blockchain. We pride ourselves on service. We get to know you as a person and understand what you are trying to achieve as a business. We listen and advise, and more importantly, we place the right people in the right teams. Co-Founder & Principal Consultant of Socialite, Erin is the Operations Director & backbone of the company. Erin’s aim is to remove the barriers that divide the “recruiter” from the client during the recruitment process by harnessing the RPO model & offering onsite account management solutions. In addition, Erin also offers end-to-end recruitment to her service portfolio, including targeted search, retained assignments & can help scale project teams on a contingent basis. Her agency experience spans across London, Australia & New Zealand with a broad understanding of technology. She is fantastic at sourcing hard to find skills that many just simply give up on. When she isn’t doing her day job, you’ll find her in the gym punching the crap out of a boxing bag, running or juggling her second job of negotiating between her two little boys. Co-Founder & Principal Consultant of Socialite, Linz has worked as a Technical Recruiter in London, Australia and New Zealand. His extensive technical knowledge has enabled him to become a trusted advisor to his clients & candidates & he works collaboratively to achieve the best outcome. 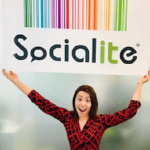 He provides support across all technology verticals & is Socialite’s Account Director. Linz is possibly the most annoying person to walk the face of this earth with hundreds of poorly timed dad jokes & constant banter which drives his team mad! When he isn’t smashing out phone calls, sending CV’s or hunting for business, you’ll find him on his kayak wrangling sharks, mountain biking, at the gym or fishing with his kids somewhere in the land of the long white cloud. Well…where do we start with our Sureca? Focusing on all things Digital, Sureca is a Certified Scrum Master with a passion for technology. Her high energy, crazy as hell character makes up her DNA which brings the chaos to our team. She’s an all-round tech recruiter & a fantastic talent sourcer – her speciality, Developers! She loves spending quality time with her family and friends & always willing to help others. When she’s not sourcing talent, schmoozing clients or knocking back a fluffy latte, you’ll find her diving some of the coolest places around the world, spearing some of the biggest fish or running her pedigree Huskies down the beach. Raveesh AKA “The Ravman” is our technical talent scout. After completing his Masters Degree in Computer Science, Rav worked as a Developer, cutting code and building applications. He soon realised that his coding sucked and was much better at dealing with people than computers. After spending some time recruiting in the US & India, The Ravman moved to Christchurch and began his journey as a “Kiwi” recruiter sourcing top talent across the globe. The beauty about dealing with The Ravman is that he understands tech, so you’ll be dealing with someone who “just get’s it”. In his spare time, you’ll find him watching or playing cricket or whacking a tennis ball. And then there’s Sam “He’s the Man!” Hooper. Funny, charismatic, easy going and just loves a bloody good laugh! He’s a passionate Tech Recruiter who enjoys connecting with people and making things happen. Sam’s the man when it comes to devops, automation and site reliability positions. He’s an open source enthusiast and gets a real kick out of sourcing difficult roles. If the candidate ‘doesn’t exist’, Sam will somehow prove you wrong. In his spare time, if Sam is not out riding his bike (mountain or road) he is spending quality time with friends and family as well as chilling out on the Kapiti Coast.